Sure, you have pulled out your jack and lifted your car up in the air, but how comfortable do you feel about climbing underneath in order to do some work. 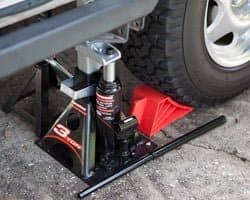 With just a jack that isn’t a very good idea, however, if you hunt down the best jack stands you can have a rather stable surface to hold your vehicle up. It might not be like having a super hero pick up your car, but it is the next best thing. 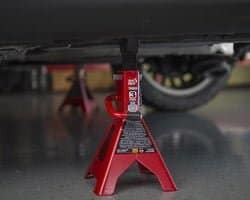 In this article, Garage Chief rounded up 6 of the best car jack stands on the market today and will give you our review on them. We have also included a buyer’s guide so that even if you are new to the world of jack stands you can pick the best option for your particular needs. Now without further delay, let’s take a look at some of our top contenders. We have tracked down 6 of the best options on the market when it comes to quality jack stand. While any of these can do a great job, you’ll need to make a choice as to which is the best jack stand for your car. We’ve highlighted the weight capacity for each model we have highlighted and even made our picks for the best value and the best product. You will need to keep in mind how big of a pair of jack stands that you are looking for as well as if you want a fixed height or adjustable. Remember, a jack shouldn’t be used to hold up a car, just lift it, after it is up you’ll want to put it onto one of these pairs of stands. It is true that a quality jack stand does not need to cost you a fortune. 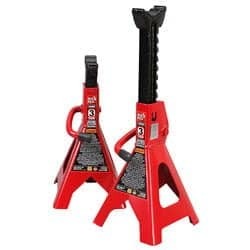 In fact, we selected the Torin T43002 Big Red Steel Jack Stands as our best value pick for that very reason. While they offer a range of 4 different weight ratings, going from 2 tons to 12 tons, we feel that the 3-ton option hits the sweet spot. This size will cover most cars and even some pickup trucks and SUVs and yet is priced under $25. The wide base provides a nice sturdy platform and the saddle at the top is extra sized to ensure a good fit no matter where you place it. This system uses a single lever that can easily be lifted to quickly change the height of the stand and when put into the down position, locks the stand into your desired height. You can go from 11 ¼ inches high all the way up to 16 ¾ inch, so you have a good bit of range there. With all of that and the fact that they are sold in pairs, it is no wonder that these stands are our choice for best value. If you are looking for very best jack stand you can pick up, our choice is clearly the Hein-Werner HW93503 Jack Stand. The blue and yellow paint scheme help you clearly see where the jack stand is sitting, which is a welcome change from the normal black upper piece. Dark colors can so easily blend into the chassis of your car. Our pick is the 3-ton option, but as that is the smallest of the range you can easily step up to a number of different ratings all the way to a 25-ton capacity. As far as height is concerned they range from 12 1/8 inch on their lowest setting all the way up to a full 19 inches high. This should give you more than enough room to get under your vehicle and access just about anything that you should need. They sport a multi position ratchet bar that will hold the stand at the desired height when needed and allow for quick changes when needed. The pair also has a specially formed base so that you don’t find your stand sinking into the pavement. With all this, it is no wonder why this pair tops as list as the best product in our eyes. 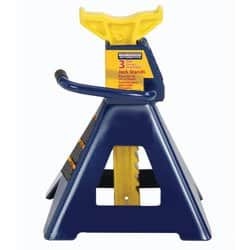 If you are looking for a jack stand that is sure to be seen, either under the car or just in the garage, the bright yellow paint of the base of the Performance Tool W41022 Heavy Duty Jack Stand is sure to be to your liking. Here the upper piece is a gray to help it stand out from the chassis, but the high visibility yellow is sure to draw your eye. Again, we have chosen the 3 ton capacity as our pick. In this family of stands, it is the middle child, letting you step down to a 2-ton option or up to a 6-ton capacity. When looking at lift range these go from a 12-inch option at the low end up to a 17 ¼ inch full height. They feature the same ratcheting style level to make height changes as breeze as our previous models. As a note each of these weights a touch over 15 pounds, so when you receive the box with them both inside be ready for a good bit of weight. Torin is back once again with another stand out pair of jack stands, this time the T430021 Big Red Double Locking Steel Jack Stands. Again, for our list, we feel that a 3-ton capacity is the sweet spot, but there is a range of options that you can choose from, ranging from a mere 2 tons, all the way up to a 6-ton limit. As this is nearly the same pair as our pick for the best value, this one has a range of heights that go from 11 ¼ inches high all the way up to 16 ¾ inches tall. A big difference here is that a pin has been included to ensure that the stand stays at the desired height. While the ratcheting handle is a sturdy option, there is the possibility that a foot could hit it and drop the stand down. With the pin in place, you have no worries about such an outcome. The one downside to this is that the upper part is black, so it may blend into your car’s chassis as it supports your ride. 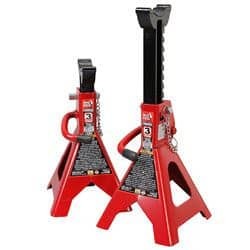 If you are in search of a rather striking looking pair of jack stands, you may be interested in the Powerzone 380036 Steel Jack Stands. These sport an all black base with a red upper, allowing it to stand out when supporting your car. Once again, 3 tons is the sweet spot as far as weight capacity for this pair. 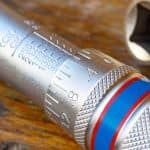 They utilize the common ratcheting handle design that allows for quick and easy adjustments. And speaking of those adjustments, this pair can go as low as 11 inches and then stand tall at proud at 16 ½ inches high. One thing to note with these is that some batches in the past have had sub-par welds holding the joints together when you order a pair it doesn’t hurt to double check that your pair doesn’t suffer from the same issue. Rounding out our lists of picks is one that stands out from the others. Torin makes one more appearance, this time with their T43004 Big Red Double Locking Aluminum Jack Stands. These are again a 3-ton jack stand, but at a quick glance, you’ll notice a number of changes. First off, the design is different than the others on the list, using a base plate and a pole coming up. There is no ratcheting lever, this time you have a pin. Remove it and raise the stand to the desired height, then reinsert. Also, these are our only set of aluminum stands on the list. That makes these a much lighter weight option, only tipping the scales at just over 10 pounds. 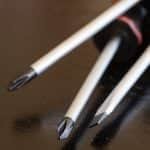 They also provide the shortest height options, going down to 10 ¾ inches and then stretching up to 15 5/8 inch on the taller end. 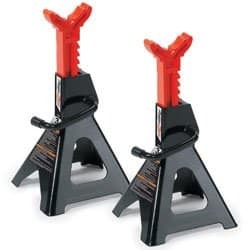 These make for a great pair of jack stands to leave in your car, so that you can have them at the ready if something happens while you are on the road. 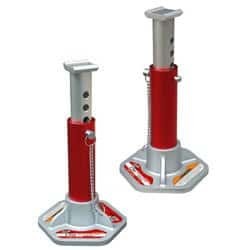 If you are looking for the best car jack stands it helps to have an idea what makes a particular pair the best. If you are going to track down a pair it is better to do some research and find a pair that will do their job for you, instead of just picking a pair because it was the one that was on the shelf at the auto store. What is a Jack Stand? It’s for Your Safety! A jack stand is used to hold your car up. Often times repairs call for being able to access the underside of your vehicle. Most of the time there isn’t quite enough space squeeze under a car with the wheels on the ground so you need to lift the vehicle somewhat. Since your jack is only a single point, it isn’t the best for holding up a car when you are going to be underneath. They tend to not have the widest bases and a missed placed foot can drop your ride on top of you rather quickly. Jack stands, however, solve these issues to safely support your car or truck while you are working. Generally, they are used in pairs to provide better support. You will note that all jack stands have a rather similar look to them. The bottom will have a larger base that provides a stable foundation. At the top, there will be a bar topping in a support to rest the vehicle on. You will find a number of differences in a few areas of jack stands. The first major difference that you will come across is the height the stand will lift too. There are some stands that only have a fixed distance. The upshot to this is that there is no way that something will not be locked in securely and cause the vehicle to drop a little. On the other hand, this means that there is only one height that can be used. The alternative is that you have an adjustable jack stand. This gives you a range of options, but you have to be sure that the stand is locked to the height you desire. Another difference is if the base is a plate on the ground or a pyramid style. Either works well, but the pyramid style tends to have a more stable hold to keep your ride from moving. The flair gives a bit more support. You will also find a number of different materials being used on a jack stand. Companies try to balance their stands being light and easy enough for anyone to move while still providing enough strength to hold an entire car. Some jack stands are crafted from aluminum or light steel. These are lighter but not as strong. If you are looking for the best car stand these could be in the running. If you are hunting the best jack stand for a truck or something heavier, you may need to look at a stronger steel or cast iron. These will end up being heavier, but they will allow you to hold up a heavier vehicle with no worries. How are Jack Stands Rated? When you look at jack stands you will see a weight with the pair. Normally this will be given in terms of tons. A single ton is 2,000 pounds. So, when you see that a pair of stands is rated to hold 3 tons that are the same as 6,000 pounds. As these stands hold up this kind of weight above you as you work it is worth pointing out that these are pieces of equipment that need to be cared for. It is also worth pointing out that the ratings for any jack stands are for the pair together. If is always safest to jack stands in pairs, as this will give the vehicle a wider base which is a more stable way to hold up that amount of weight. How Big One Do I Need for My Car? In the world of jack stands you will find that big will cover two important features. As we mentioned above there are fixed and adjustable height jack stands. First, you need to know how tall of a jack stand you require. This is going to be particular to your own circumstances. 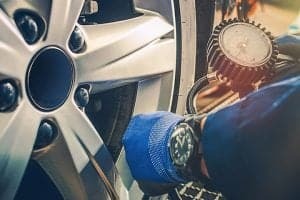 You will need to consider how low your car is resting on the ground and how much space you need to be able to get under the car and work on it. Finally, you will want to take into account how high your jack can raise a car. Lastly, consider if you will be working on a number of cars. In general, it is a wise choice to look for an adjustable set of jack stands that cover the height you require. Bigness in the best jack stands also covers the weight that they are rated to hold. You can clearly tell that a jack stand needs to be able to hold up a car, but how much weight is that? For a few data points, a 2012 Mini Hatchback Cooper is only 2,535 pounds while a Cadillac Escalade EXT from the same year is 5,949 pounds. 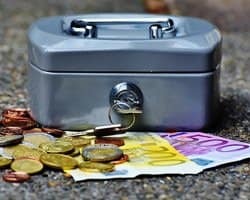 In general, if you figure 2,000 to 3,000 pounds for a 2 door, 3,000 to 4,000 and for a pickup truck or SUV can be 5,000 plus. Your manual will generally have a weight for your car, but that is the empty weight. 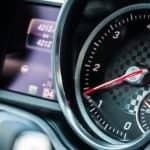 You’ll want to think about the other things that are in the car, even if you keep your car spotlessly clean there is likely gasoline in your car. 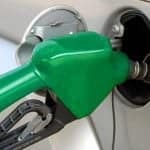 At 6.3 pounds per gallon, a 15-gallon tank can add nearly another 100 pounds. This is an area to go for a more sturdy stand than you require. Where and How Do You Put Jack Stands Under a Car? Remember, the jack is to lift the car, the jack stands are to support it. 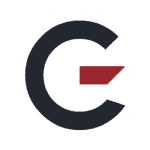 You will need to determine on your car where the areas that can support the weight are. Again, if you check the manual it will tend to tell you where some good jack points are. Normally if you can place a jack there to lift the car it is a solid part of the chassis which is a candidate to put a jack stand. When putting the car on jack stands you will want to place your stands near to the jack. Additionally, you will have a more stable layout if you can get some space between the jack stands themselves. When getting the car onto the jack stands you should start by setting the stands to your desired height. Then you will want to use your jack to lift the car slightly higher than the top of the jack stands. This will allow you to easily slight the stand underneath your stand locations. Once the stands are in place you can lower the vehicle until it is resting on the jack stands and remove the jack. 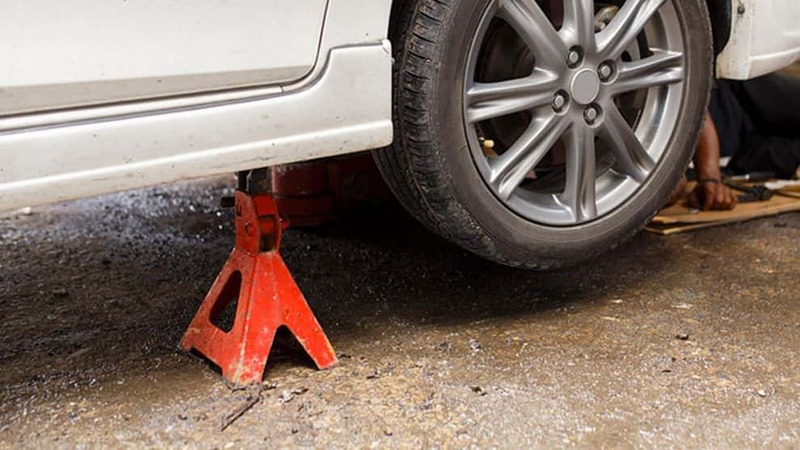 Before you intend to use your jack stands for the first time you should familiarize yourself with them. Be sure you know how to adjust the height if they do that. Also, make sure that you know how to lock them into the configuration that you need. Before each use, you should also inspect them to verify that there are no cracks, rust or other damage to them. You want to make sure that the vehicle is on as level ground as can be found. Hills and inclines can make for an unstable lifting set up. Also, when placing the stands, make sure that they are securely placed on the ground and not tilted. If their base is not secure against the ground you can more easily knock the stand out from under the car. And as a rule of thumb, you should have at least one stand for each wheel that is off the ground. It is also wise to use your stands in pairs. You will find that when it comes to cost with jack stands you aren’t necessarily paying for the ability to hold more weight. A higher rated stand will generally cost a little more, but you will be able to find some cheaper stands that hold more weight and some more expensive stands that hold less weight. If it is rated to hold that weight, it can hold that weight. Here the extra cost, or lack thereof, is the extras that are added. 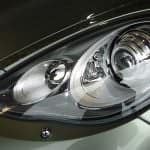 Some companies add coatings to stop the metal from corroding or being damaged. If there are adjustable pieces a higher end pair will move smoothly and easily. If you go with a lower end model you might find some small gaps or other defects, these will still hold your car for now. On the other hand, a higher end model is more likely to survive for a number of years of continued service. When it comes to jack stands you need to keep in your mind that you are betting your life on these pieces of metal. You are placing them, trusting them to hold up some number of tons of steel over you while you do work. You want to be sure that when you place your stands you do so properly and securely in order to make the most stable platform possible. Also, you will want to remember that since the car is up on stands you might not want to push it too hard, as it will sway. Now you should have all the information that you require to purchase the best jack stands for your particular needs. Regardless of if you need jack stands for an SUV, car or truck, the information is still the same. There are, of course, some safety issues to be considered. As these stands are holding up several thousand pounds while you climb under your car you will want to track down a set that is sturdy and reliable. 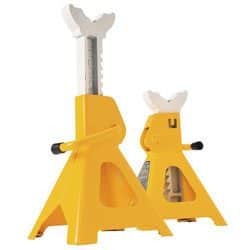 As we have pointed out you will want to use jack stands in pairs to provide a stable platform. Always make sure that your area is level and your jack stands are firmly planted on the ground. After you go through the buyer’s guide and review our write ups on our picks for the top jack stands you will be in a position to make an informed choice. Of course, you could always just go with the Hein-Werner set. These are our best product and we feel that you will agree with us if you pick up a pair. Lastly, we’d love to hear from you. Do you have any experience with any of our picks? If so, please let us know in the comments section below.